“The Hub” in New Zealand’s South Taranaki is a thriving community precinct for sports, events and recreation. It attracts thousands who play netball, rugby, tennis, basketball, badminton and volleyball. 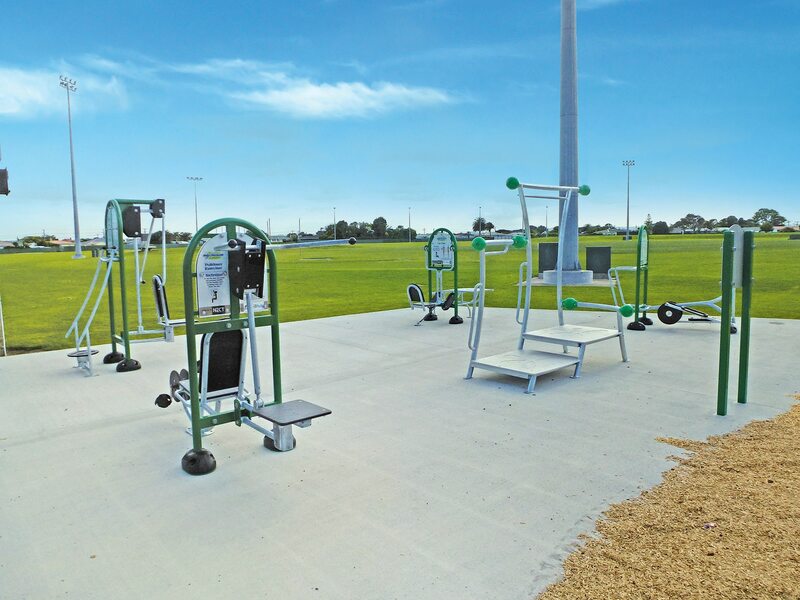 South Taranaki District Council wanted to add a different element to sit alongside the sports zone and busy family playground – a free, fresh-air gym. 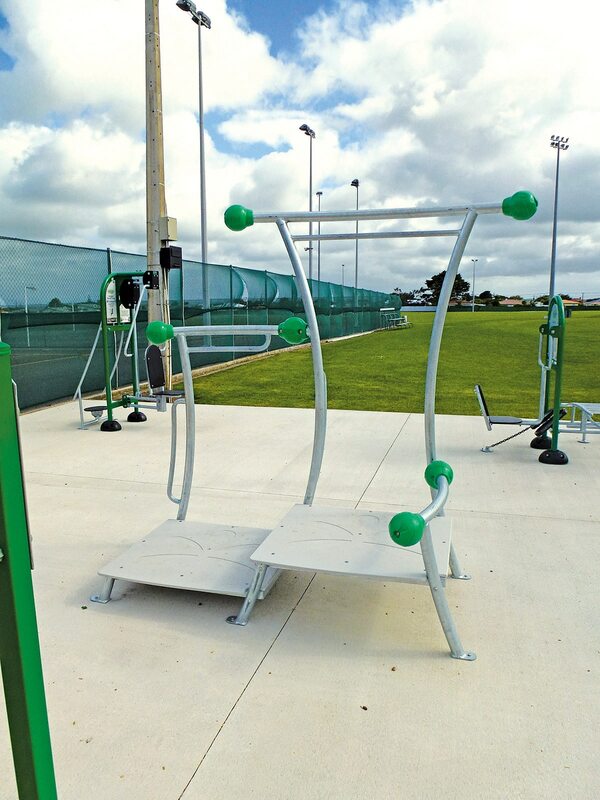 They sought top quality, highly durable outdoor fitness equipment to create a vibrant exercise area. Cycling, stretching, leg presses, situps, pulldowns, bench presses, twisting, chin ups, step ups… there isn’t much you can’t do at the new outdoor fitness area. Featuring five different exercise stations, it even comes with its own recommended workout. This has been developed by the Playground Centre in conjunction with personal trainers and human movement specialists, and is designed to provide easy and effective ways for people of all ages and abilities to safely work different muscle groups to achieve a full body workout.